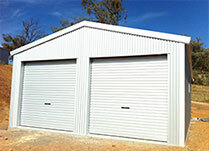 Ezyframe Industrial Shed range offer a range of heights and bay sizes to suit the particular application that you produce making efficient use of the undercover area. 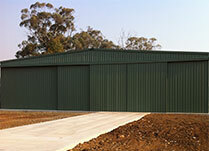 Ask us today about our range of sheds. 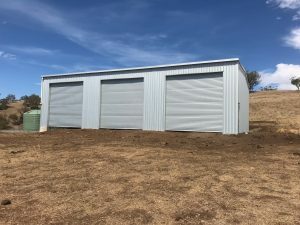 Talk to us today about our large openings and clear span sheds that can give you great access for you machinery and equipment in your Industrial Sheds. 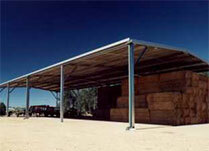 We have supplied 12m openings to many customers to even larger openings to access the shed without having any columns in the road. 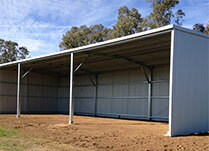 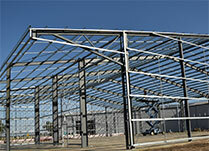 For extra wide span warehouses our fabricated frame buildings can cater for buildings 21m and wider.